The promise of peas. Won’t be long now. Click on the links above for information and recipes about these crops. 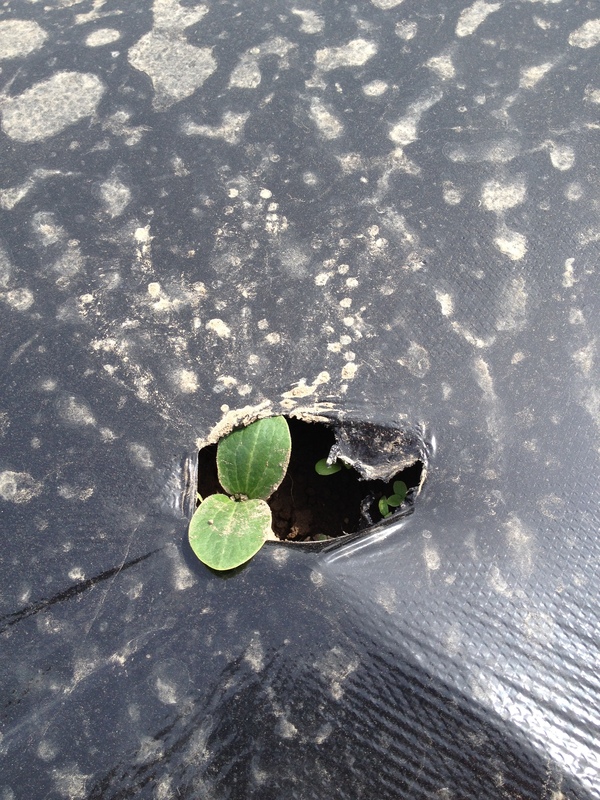 Tiny summer squash seedlings are starting to peek out of their plastic-warmed beds. The season is coming along. We got a nice swath of beds made, so all the summer squash are planted, we’ve got a nice big patch of pickling cucumbers planted, and the pole shelling and romano beans. It’s been just warm enough in 6 days to get them all popping up out of the ground. 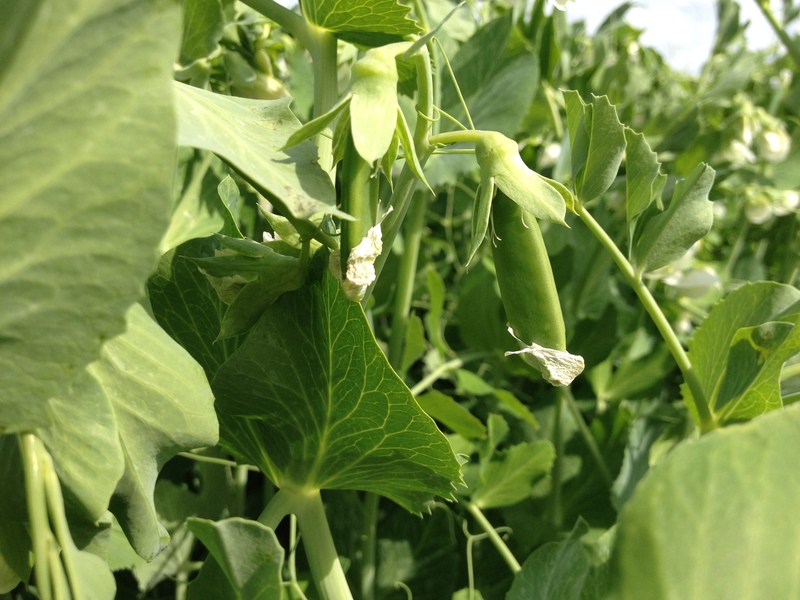 The first, early peas we planted back in March are blooming and setting pods, and the second planting is strong and healthy. Bush beans are growing their first leaves. Teo got all the bazillion onion transplants in the ground, and he can at least sleep easy. That was a two-week long project. The sweet potatoes arrived and are now planted. Rainy days are for greenhouse work. The cucumbers are set into cozy beds inside, ready for their trellises to be installed. The tomatoes will go in next. We had actually planned on having the tomatoes planted several weeks ago, because usually it’s too cold and wet to do much outside. However, the weather has been pretty decent this month, so we’re just now getting to that project. We should have a good crop this year though, don’t fret. We’re actually going to give sweet corn a try again. We haven’t bothered for the last two years—not much point if you can’t plant until the end of June. But, we’ll be planting next week, sweet Bodacious ears are already calling. Winter squash will go in next week as well. So will the first big broccoli and cauliflower plantings. Several people have asked about fruit. We have decided to partner with Tonnemaker Orchards in Royal City. They already offer a Fruit CSA, and have provided an application form for us. You can download it here: Fruit CSA Brochure Please email me or Stacy (her email is on the form) if you have any questions, and make payments to Tonnemakers. You will be able to pick up your fruit on your Tuesday or Saturday pickup here at the farm.